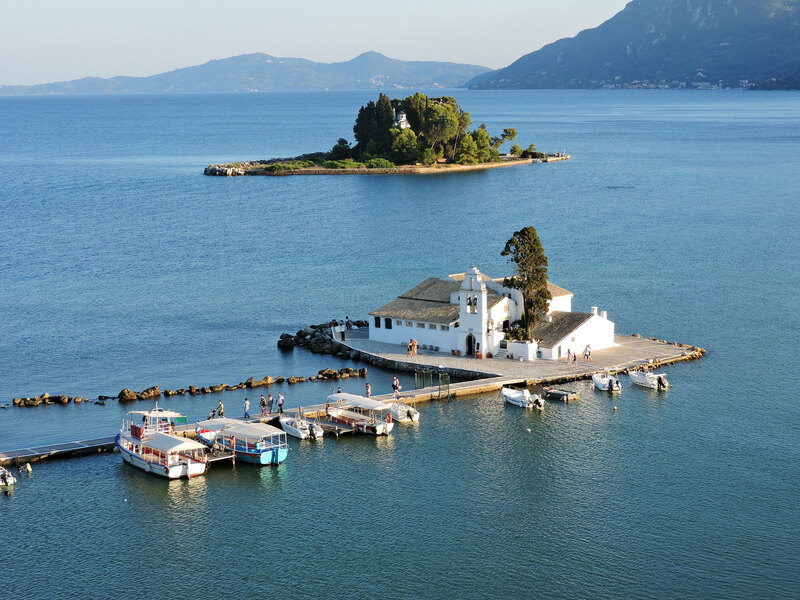 A bike and boat tour in Greece, combined with multi-adventure through the Ionian archipelago off the west coast of Greece, is the perfect family biking vacation. 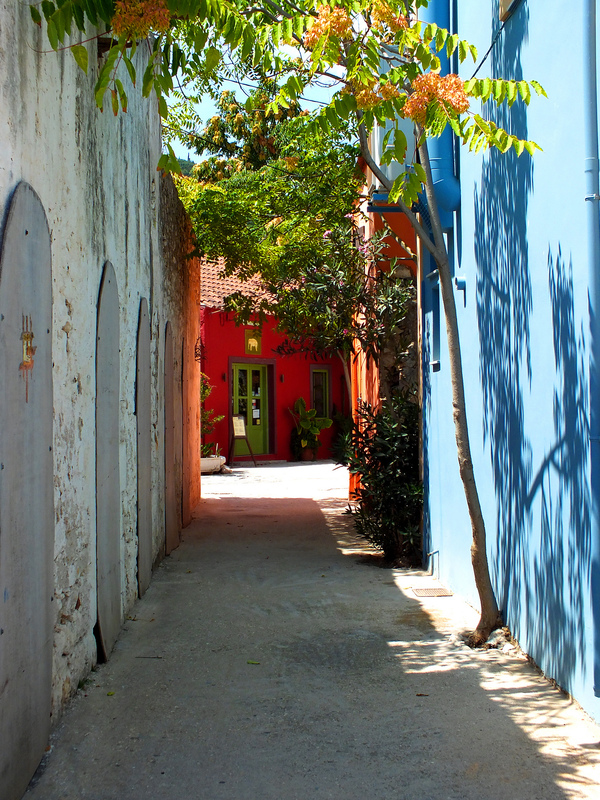 For seven days, you will discover this unique island and coastal world by boat, bicycle, canoe and, on foot. 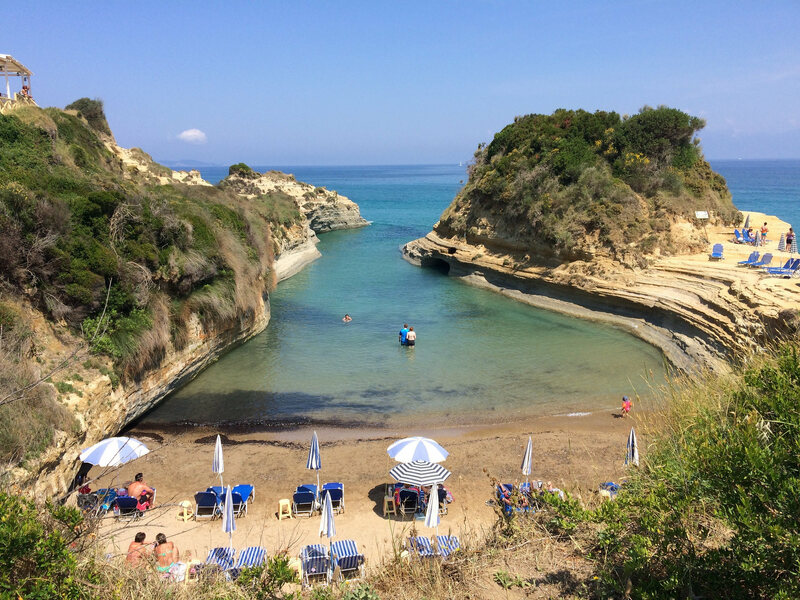 From Corfu, with its Venetian-style old town, this tour leads to the island of Lefkada with its chalk cliffs and fantastic beaches, as well as to Kefallonia, which enchants with the picturesque village of Fiskardo and the Melissani Cave. 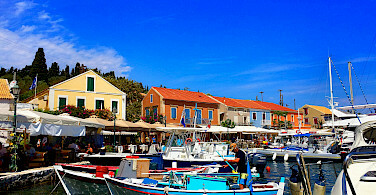 On Meganisi and the olive-wooded island of Paxos, where time seems to stand still, you will gain unforgettable insights into traditional Greek island life. The many wonderful bays in which the ship will anchor are certainly among the highlights of the trip. The family-friendly tours that are part of your itinerary leave plenty of room for spontaneity, such as a refreshing swim off the the deck of the boat. Decide every day what you want to do. 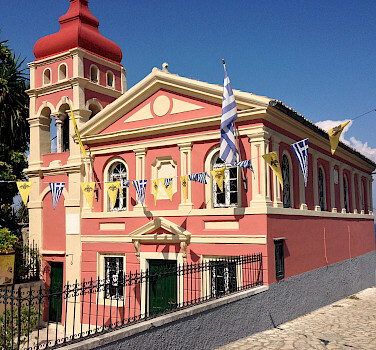 Your knowledgeable tour guide will be happy to give you tips, accompany you in the various activities, and can educate you on the eventful history of Greece. 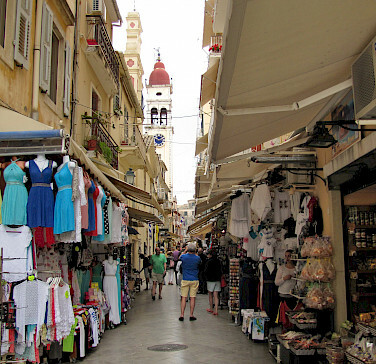 The closest international airport to your tour start in Corfu Town is Corfu. 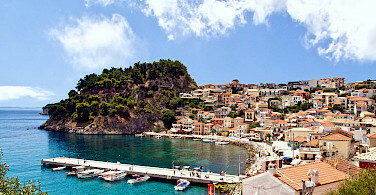 You will fly to Athens with transfer to Corfu. 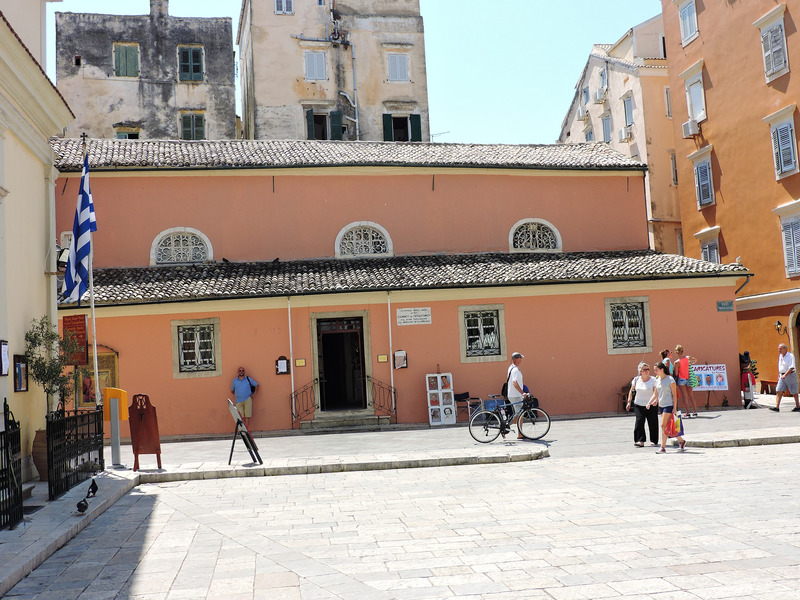 The ship is located either in the marina NAUK south below the old fortress or in the ferry port of Corfu town west of the new fortress. The exact location is always decided on the embarkation day. You can reserve airport transfers between the airport and ship or a hotel and ship only on embarkation and disembarkation day. Please check local conditions before your arrival. A very good website to research regional weather conditions including average high/low temperatures, average rainfall, and more is weatherbase.com. 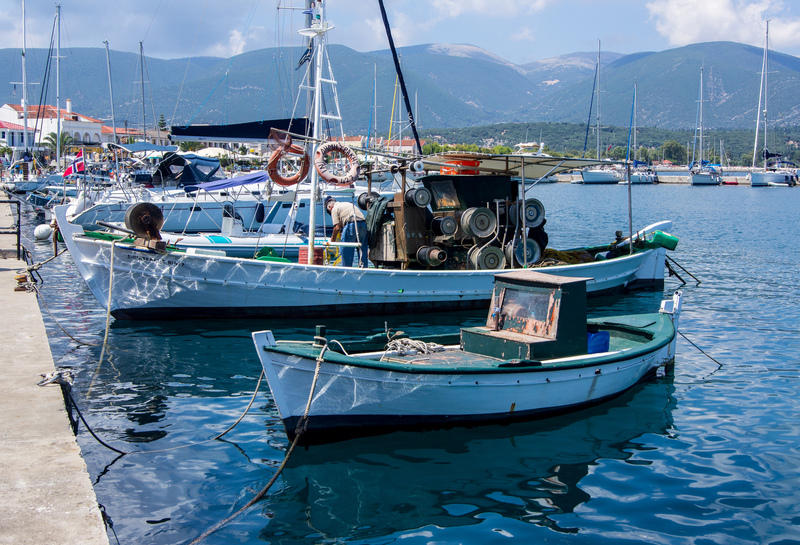 Helmets are mandatory on this bike and boat tour in Greece. It is recommended to bring your own well fitting helmet. There is a limited number of rental helmets available in limited numbers (reservation required). Children’s helmets are unfortunately not available but required. All airport transfers require a reservation with exact flight details. Please inform us well in advance of departure. 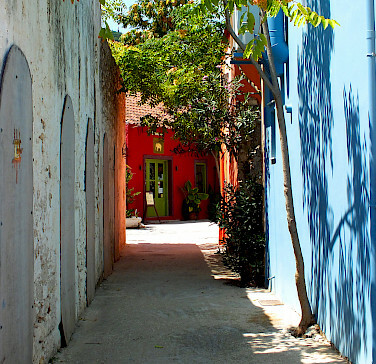 This tour is rated as easy and is ideal for a family adventure. 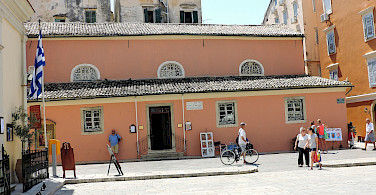 The longer tours on Lefkas and Paxos are described in detail by the tour guide. 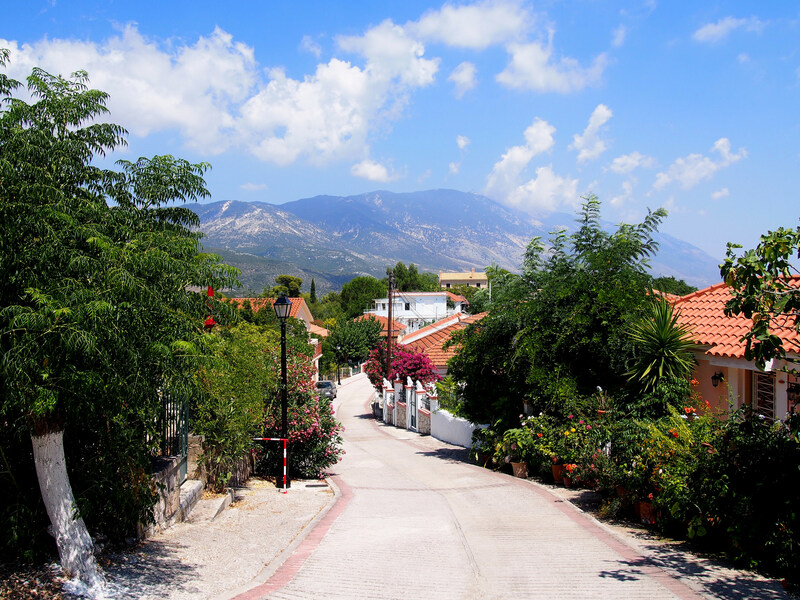 The walks and small hikes lead along good paths, some of which are even asphalted and do not require special training. If special activities require more physical fitness, the tour guide will point this out before. This adventure tour is very suitable for children. Please note that we can only provide rental bikes from a height of 1.30 m. Child seats and trailer bikes are available on request. Cycling distance approximately 70 km total. 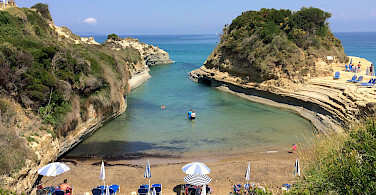 Individual arrival to Corfu and group transfer from the airport to the ship. 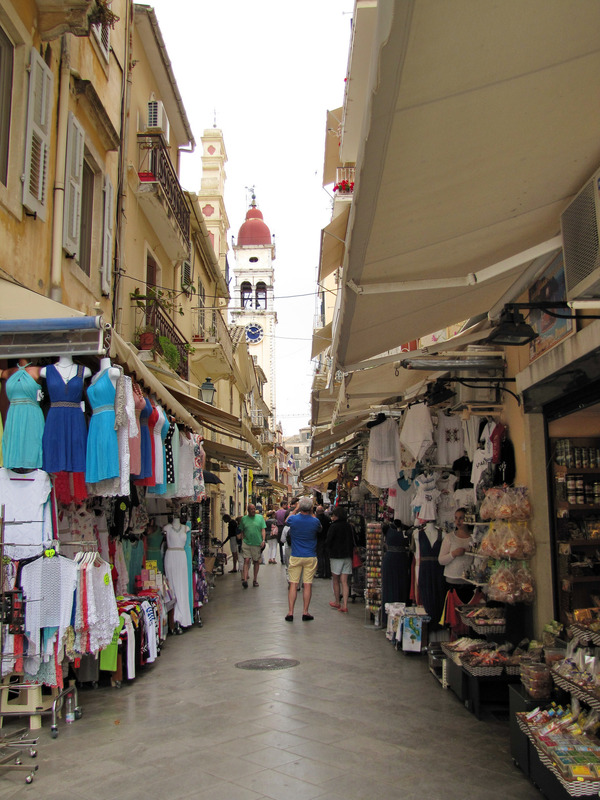 From 2 pm you can check-in on the Panagiota. The journey begins with a dinner on board. Overnight in Corfu Town. 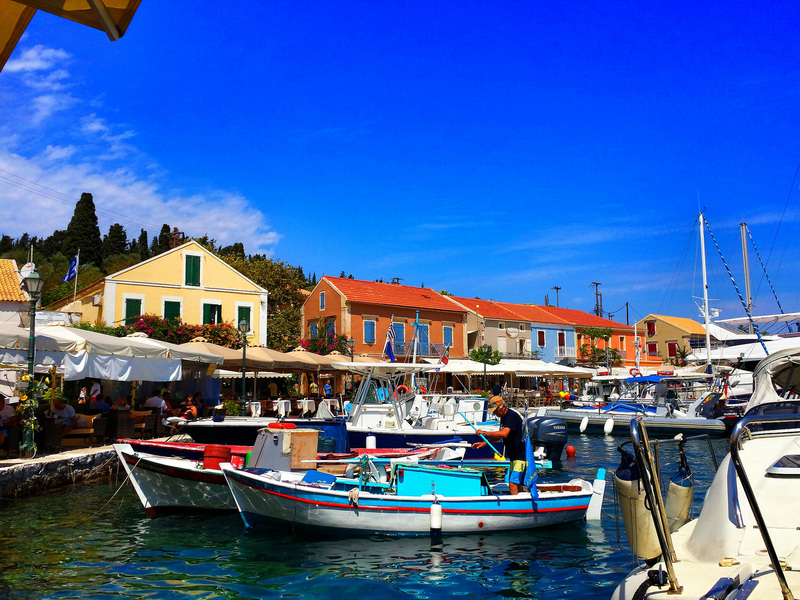 After breakfast the boat casts off and cruises to the olive island of Paxos. 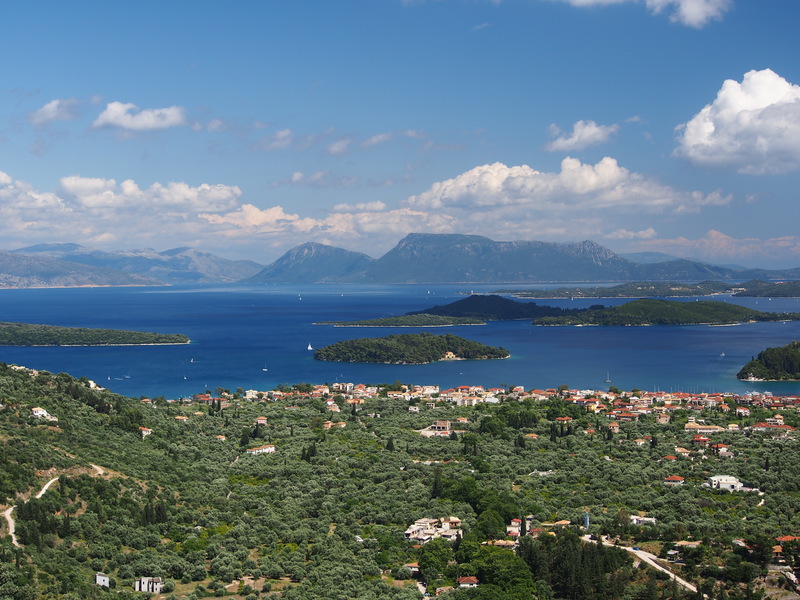 Paxos is the smallest of the seven Ionian Islands with a higher population of olive trees then people – 32 km² are home to over 250,000 olive trees! They cover the island in a wonderful silver green shimmer. 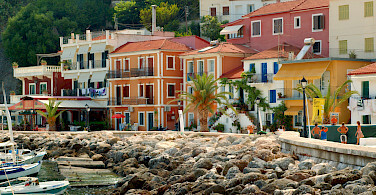 The natural harbor of Gaios is unique and provides a special atmosphere during your stay here. 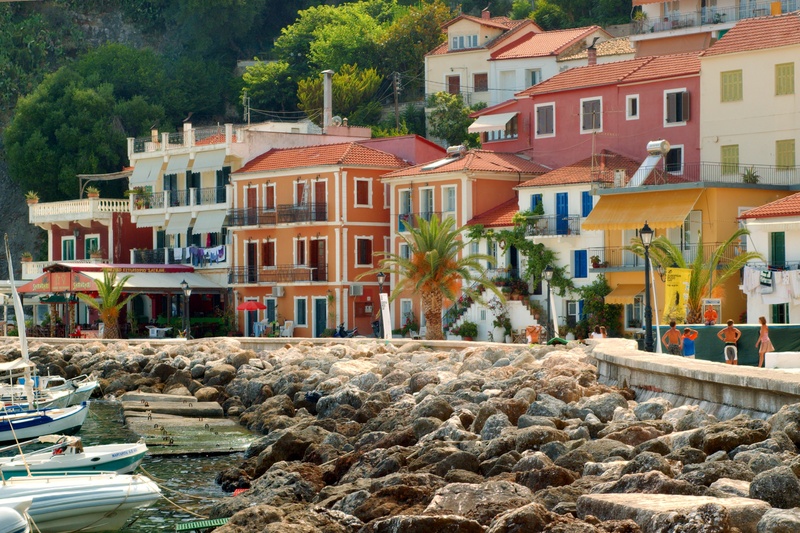 In the afternoon, take a small cycle tour along the coast to Mongonissi bay. 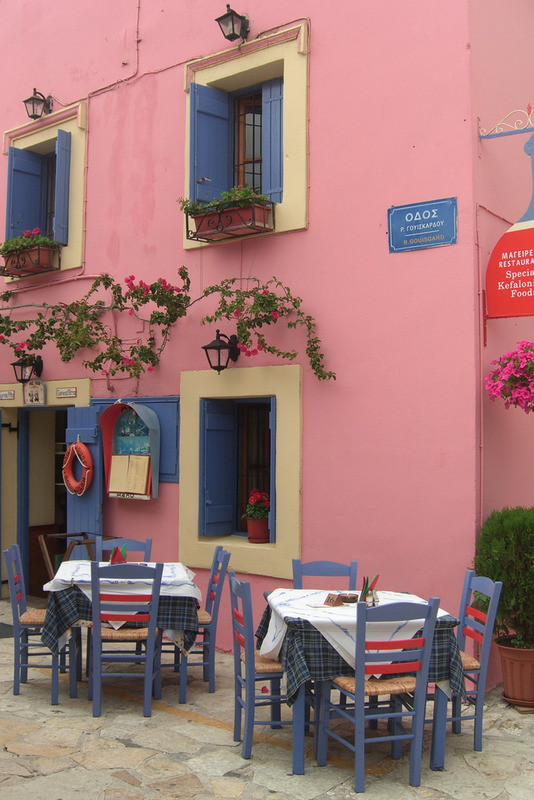 The evening can be spent relaxing in a local tavern in Gaios. 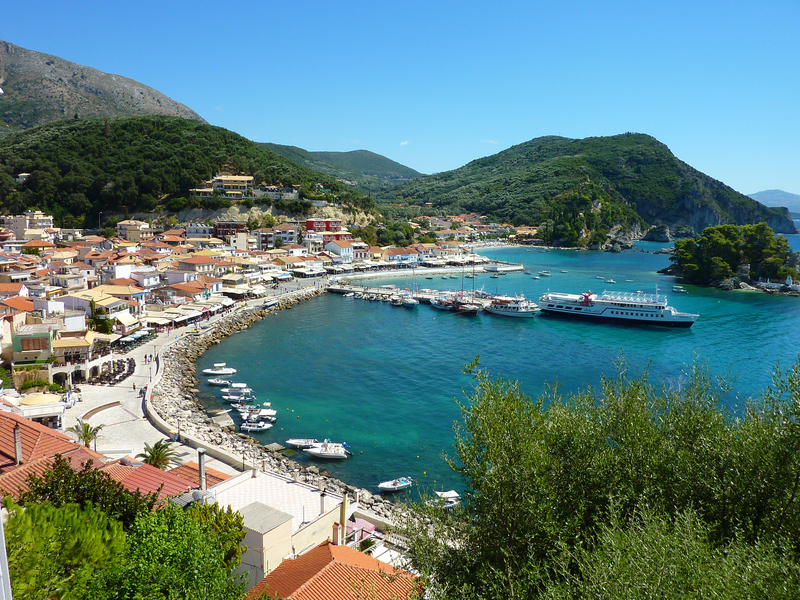 In the morning, cruise to Lefkas Island, Lefkas City, but before arriving the boat anchors near Antipaxos for a swim stop. 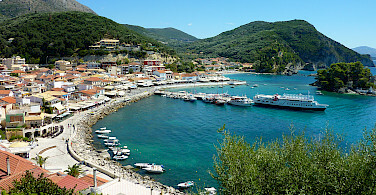 After a long cruise, reach a narrow channel with an original swing bridge which connects the Greek mainland with the island. 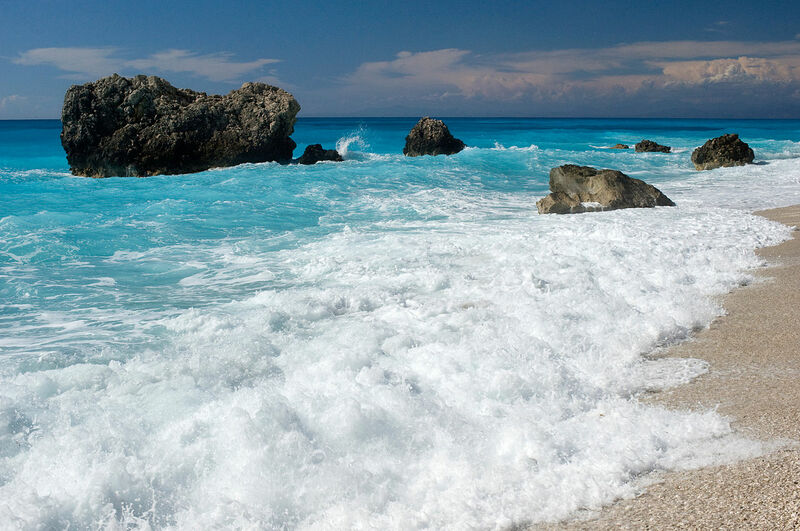 From Lefkas City, start your tour around the lagoon and enjoy a second swim at the white sandy beach, Agios Ionnis. After returning to the boat, you navigate your way to Nidri where we will spend the evening and the night. 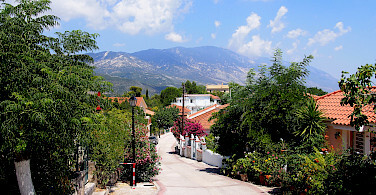 From Nidri you cycle through olive groves in the morning to a nearby waterfall. 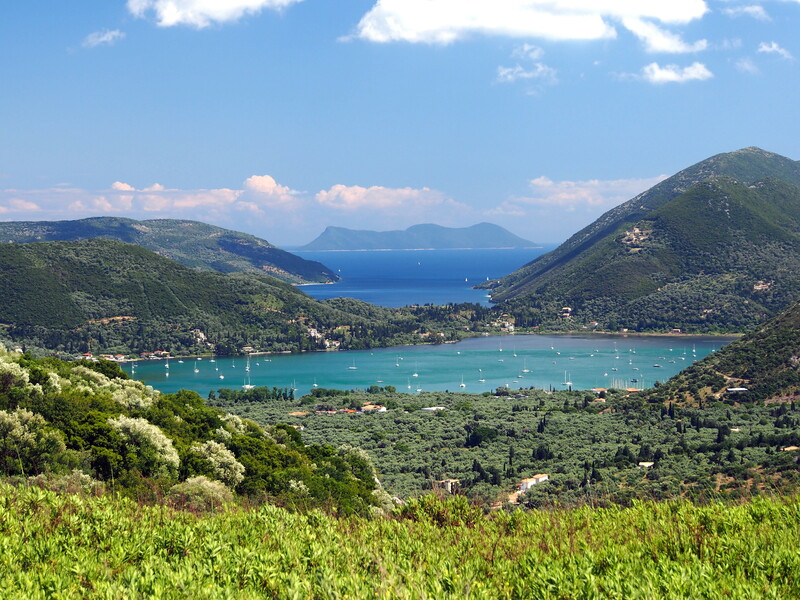 On the following passage to Kefalonia, the boat will take you to Porto Katsiki, one of the most famous beaches in Greece, just below the Lefkada rocks, and in good weather, the perfect place for a swim break. 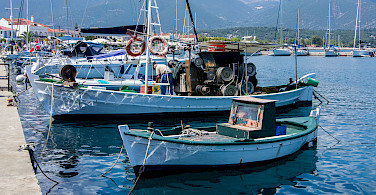 Afterwards, you continue by boat to Fiskardo on the Cephalonia Island. 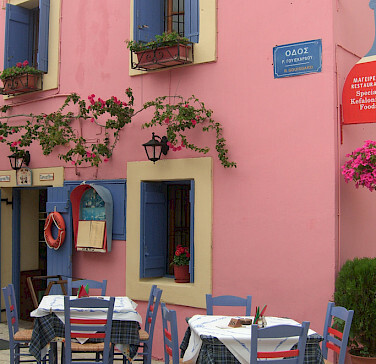 The harbor town on the northern tip of the island enchants with its colorful houses and numerous cafes and bars along the picturesque harbor promenade. A walk of about 30 minutes leads in the early evening to a pretty lighthouse. 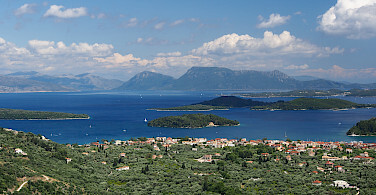 Overnight in Fiskardo. After a short crossing you arrive at the harbor of Sami. From here you start your cycling tour along the coast to the enchanting Melissani cave, which can only be visited with a rowboat. A visit to a donkey farm, knowledge and fun at the same time for all ages, is next on the agenda before the tour takes us back to the boat. The boat meetsyou in Sami and takes you for a well-deserved swim break. 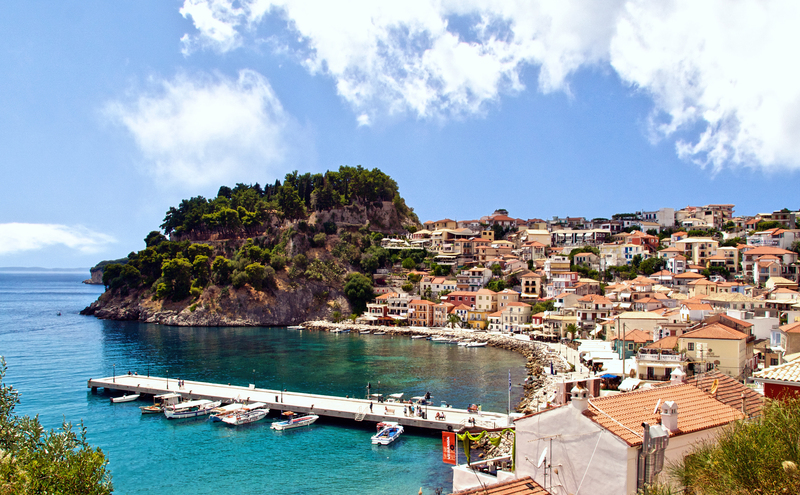 The journey then takes you further to Meganisi, a charming island where you spend the night. After breakfast, you have the opportunity to explore Meganisi by bike. Afterwards a long crossing takes you to Arillas, an idyllic and peaceful place along west coast of Greece, close to Perdika on the Greek mainland. 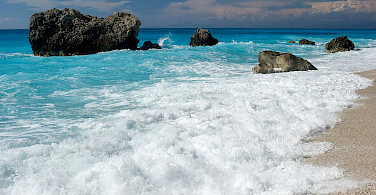 A stroll along the sandy beach or a swim around Panagiota (the boat) rounds off the day. The night is spent in Arillas. 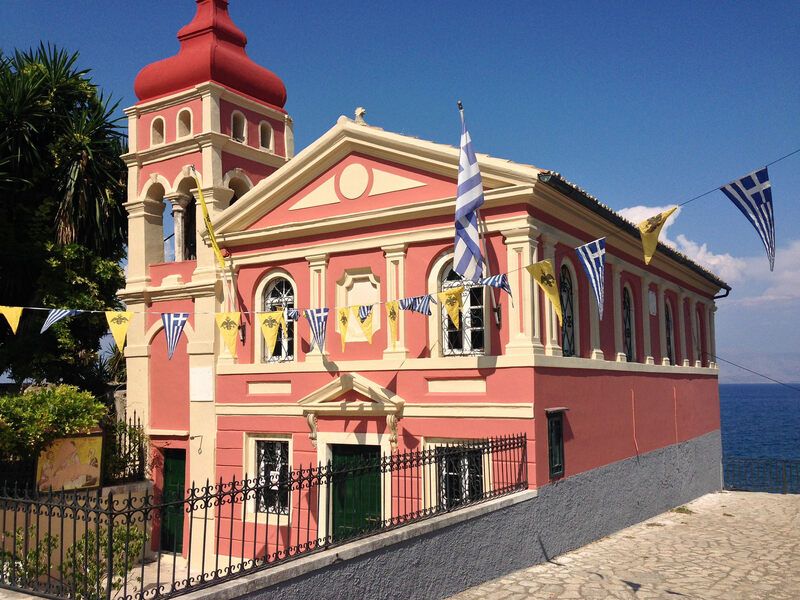 In the morning, your bike tour leads along remote streets under the shade of old olive trees through a national park and along a little river until you reach the monastery of Agios Athanasios. 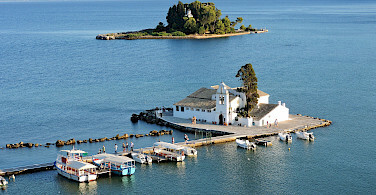 The Panagiota awaits for your last crossing back to Corfu. 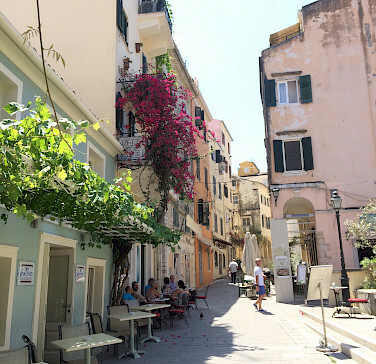 Here you can enjoy a celebratory evening meal before reflecting on your wonderful adventures of the week in the beautiful old town. This tour is run by Radurlaub Zeitreisen GmbH.